LAS VEGAS, Nev. UBTech booth 301/InfoComm Booth C5421— June 08, 2016 — Sonic Foundry, Inc. (NASDAQ: SOFO), the trusted global leader for video creation and management solutions, today announced it will showcase Mediasite Join, a Unified Communication and Collaboration (UCC) solution, at InfoComm 2016 at the Las Vegas Convention Center, Booth C5421, June 4 – 10. Building on the market-leading Mediasite Video Platform, Mediasite Join extends the value of UCC by seamlessly integrating with leading conference services and bridges such as Cisco, Lifesize, Zoom, Polycom, Vidyo, Sony and Tandberg, to retain and share valuable knowledge, engage employees, improve communication and support a culture of collaboration. 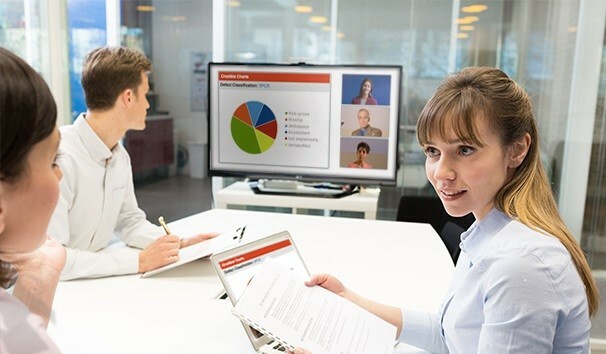 “There’s increasing demand for video solutions to capture, stream and manage the collaboration that happens in today’s workplace and classrooms. Join is the solution to meet to rising expectations of employees for effective, seamless video tools to do business,” said Rob Lipps, executive vice president, Sonic Foundry. Mediasite Join offers flexible deployment options, including the cloud-based Mediasite Join service for simplified deployment or on-premises Mediasite Join software. Both options seamlessly publish recorded video calls to Mediasite Video Cloud or Mediasite Video Platform.